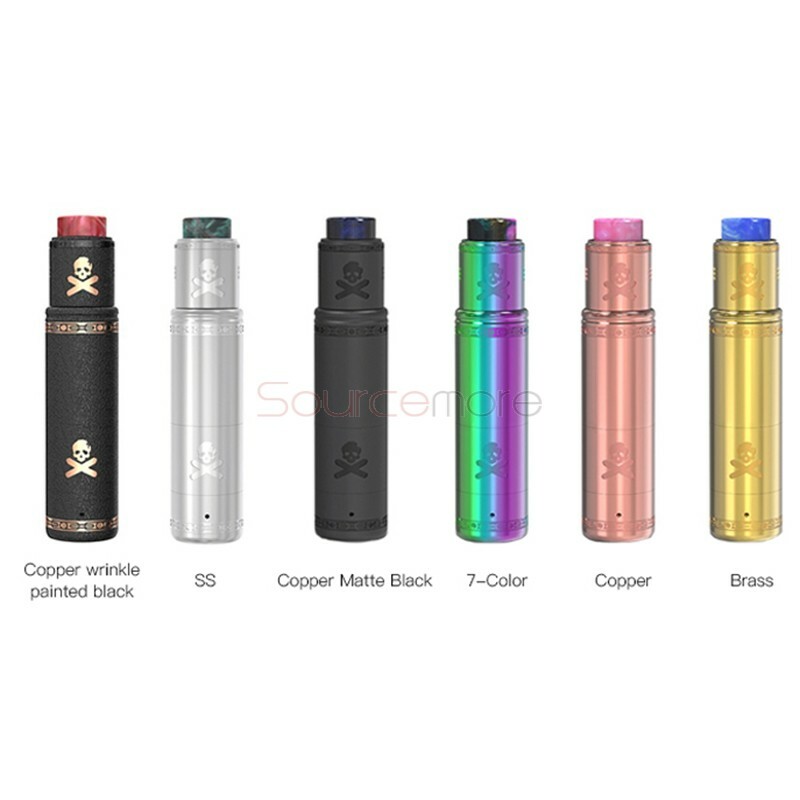 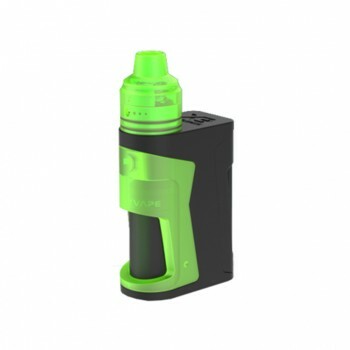 The Vandy Vape Bonza Kit consists of the Bonza Mech Mod and the Bonza V1.5 RDA. 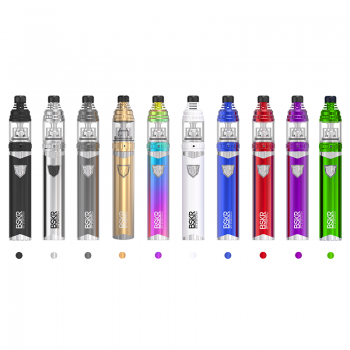 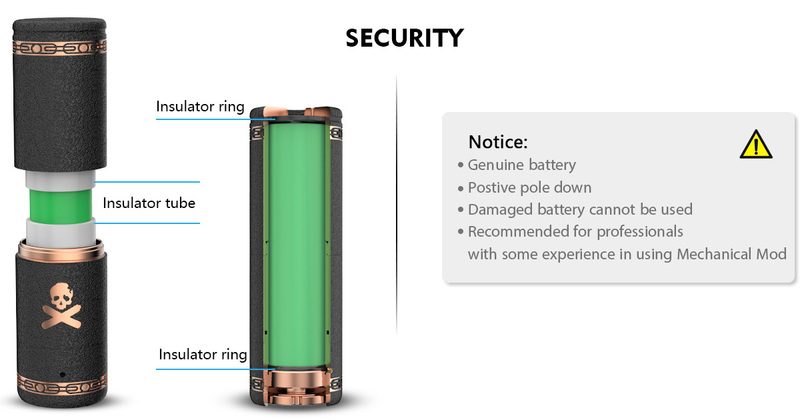 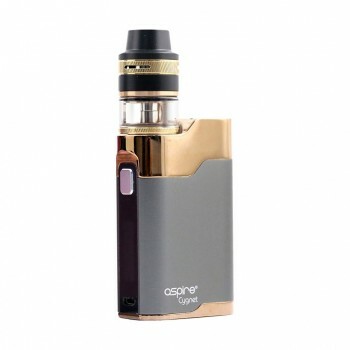 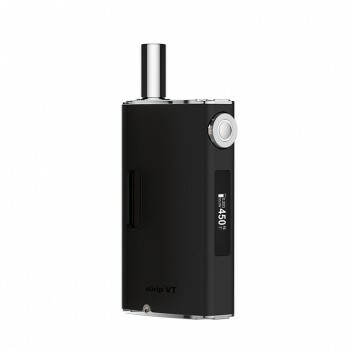 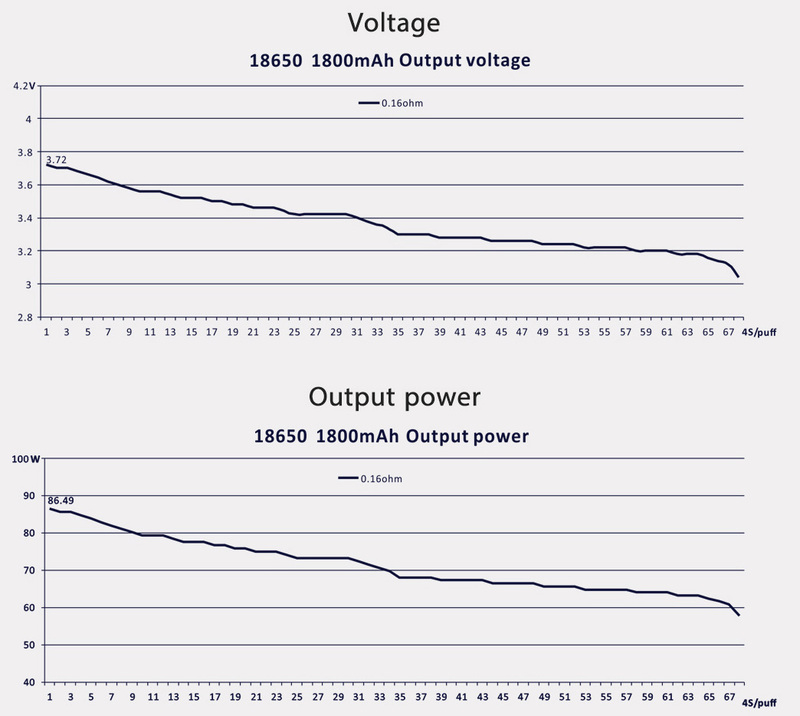 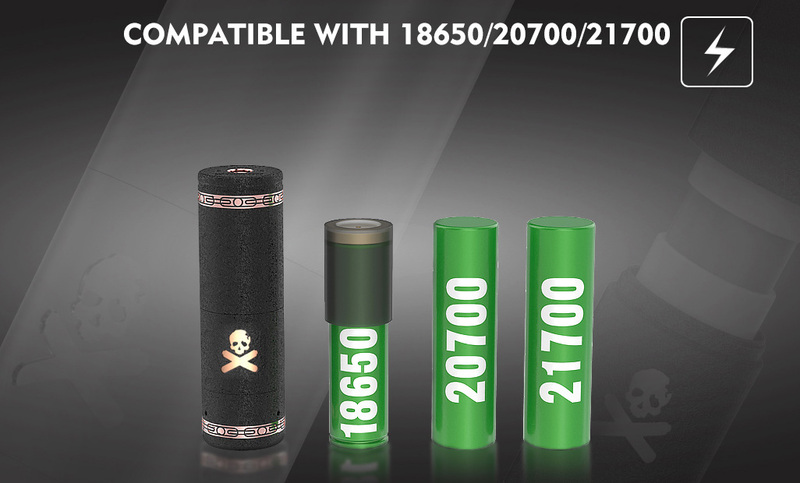 It is powered by single 18650/20700/21700 battery. 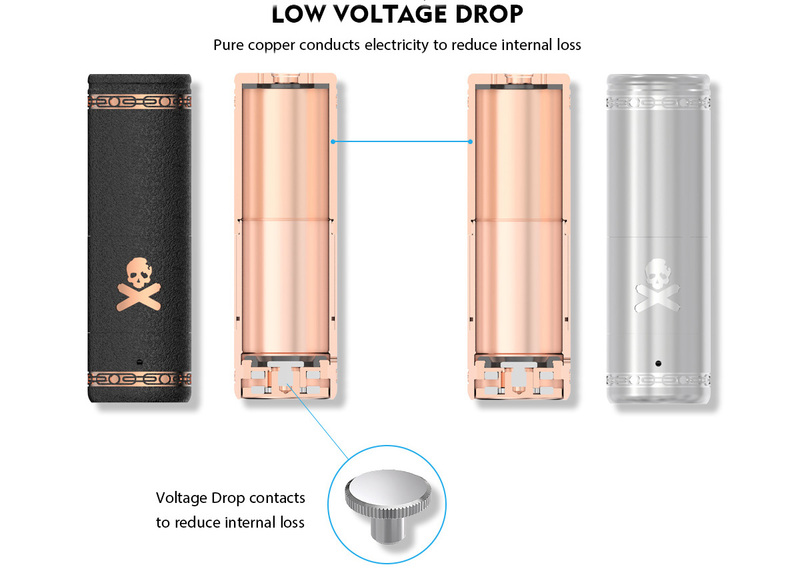 With the voltage drop contacts, the pure copper conducts electricity to reduce internal loss. 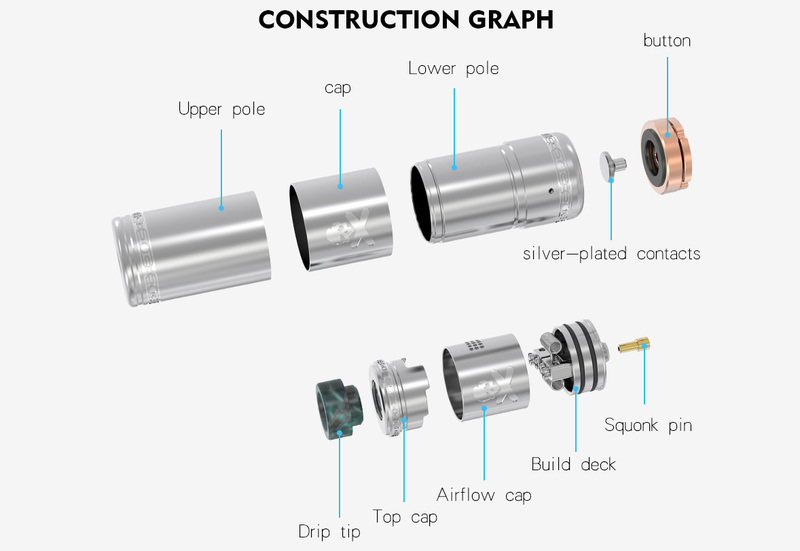 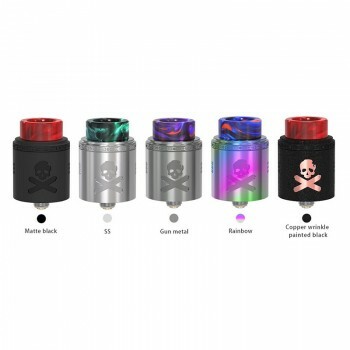 The Bonza V1.5 RDA features the adjustable airflow control system and easy installation. 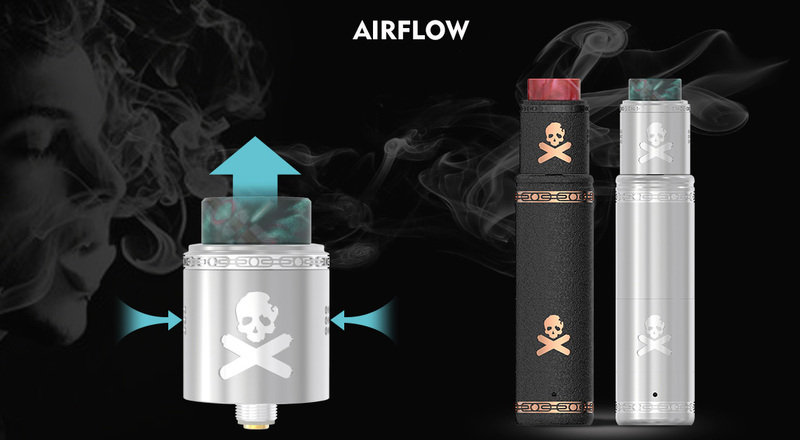 The Bonza V1.5 also comes with 2ml e-juice capacity and 27mm diameter. 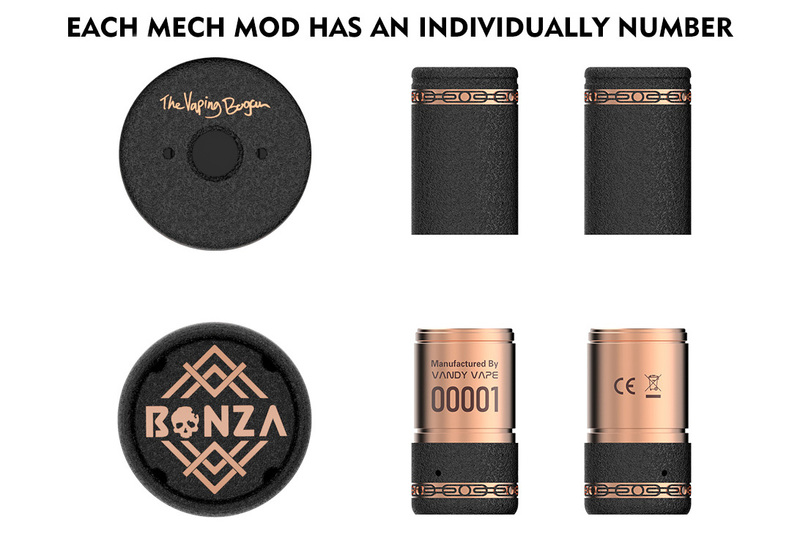 The highlight is that each Mech Mod has an individually number. 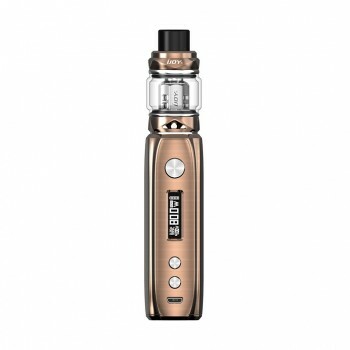 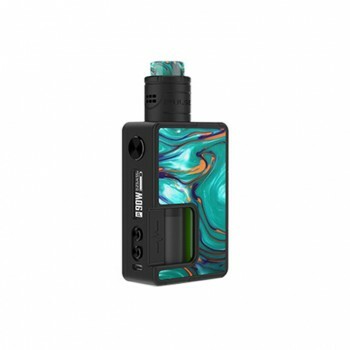 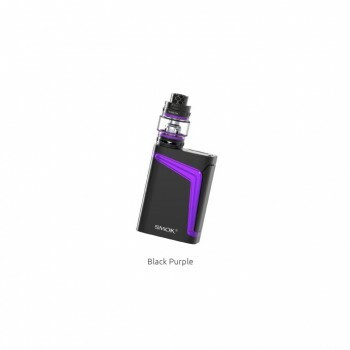 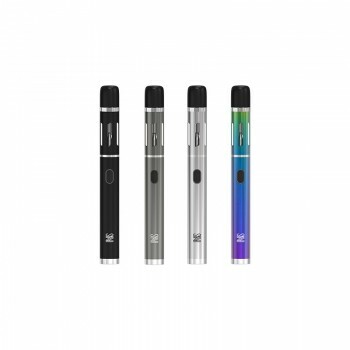 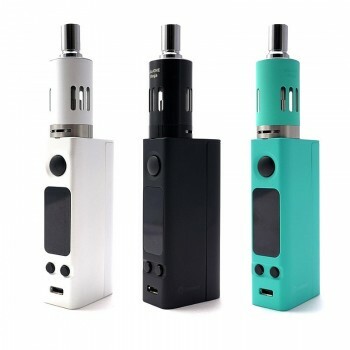 Just get your unique Bonza Kit to enjoy vaping. 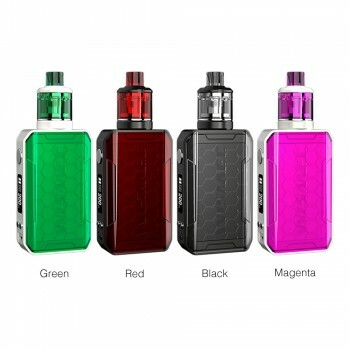 There are 6 colors for selection. 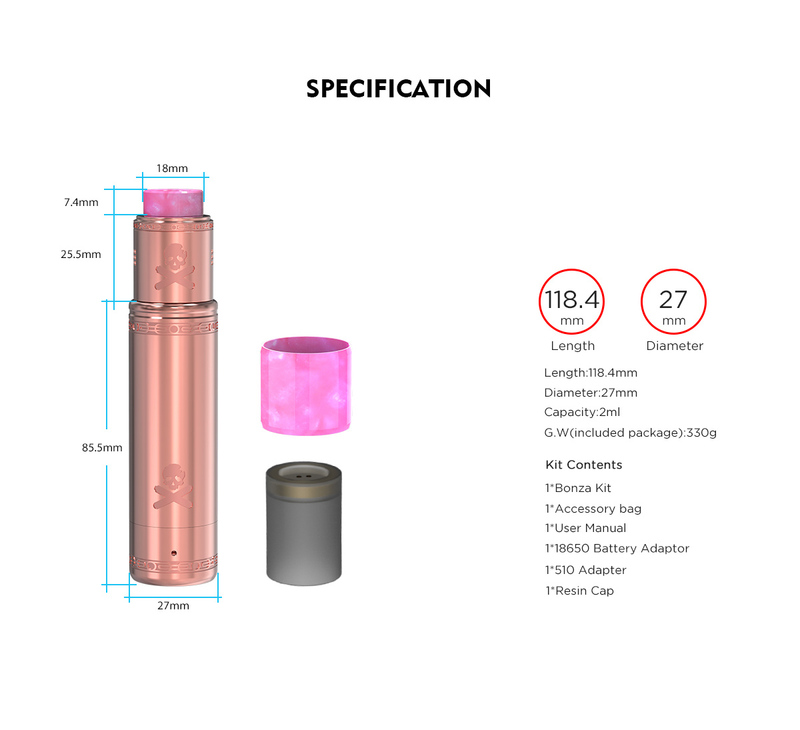 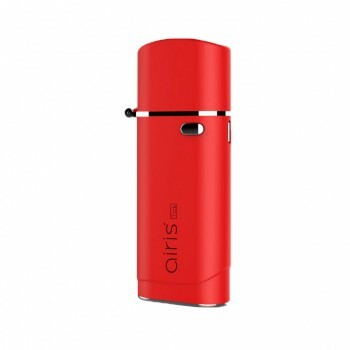 ● Recommended for professionals with some experience in using Mechanical Mod.